But I’m not giving up on resolutions or challenges. 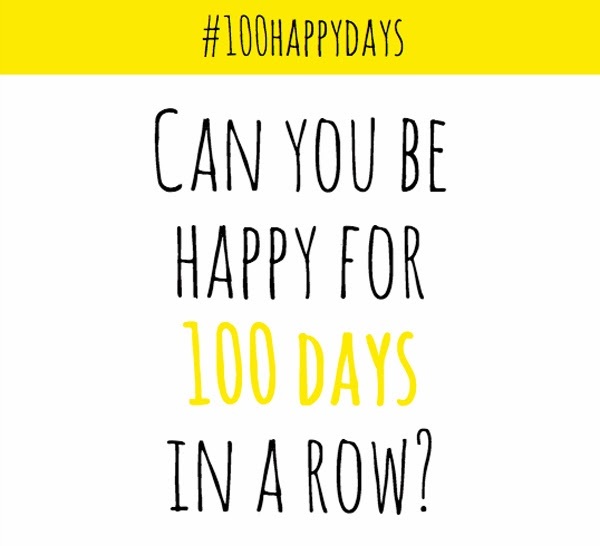 So I just applied for the 100 days of happiness challenge! I have done this before, but truthfully only got until day 20. I couldn’t apply to being happy for more than 20 days? Wow…. that’s sounds really bad… It sounds even worse when I say I didn’t have te time. Which is actually not true: I didn’t take the time is more like it. According the website only 26% of people who apply, actually finish the challenge! I want to be one of them! So that’s why I’m taking the challenge once again and I promise I will take it seriously. But I’d rather not do this all by my self….sooo who’s with me? Wouldn’t it be fantastic if we were all happy and positive together? Let me know in the comment section below if you’re up for the challenge!